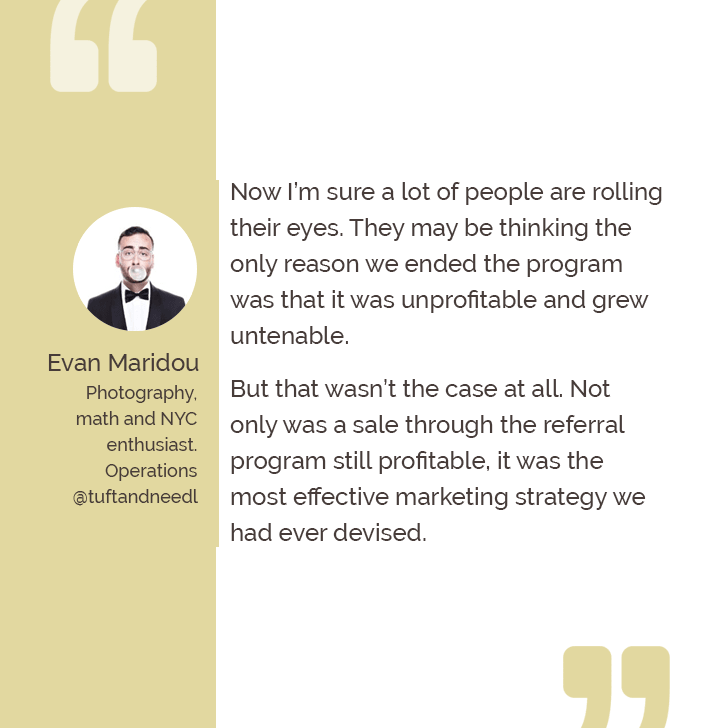 Referral marketing and growth go hand in hand, and over the years we’ve seen everyone from SaaS businesses to, mobile apps using it to get a sweet spot with their users. Unfortunately, even the most powerful (and we mean it) marketing tactics such as referrals, need to take a back seat sometimes. And with that, we mean either a temporary or permanent shutdown. 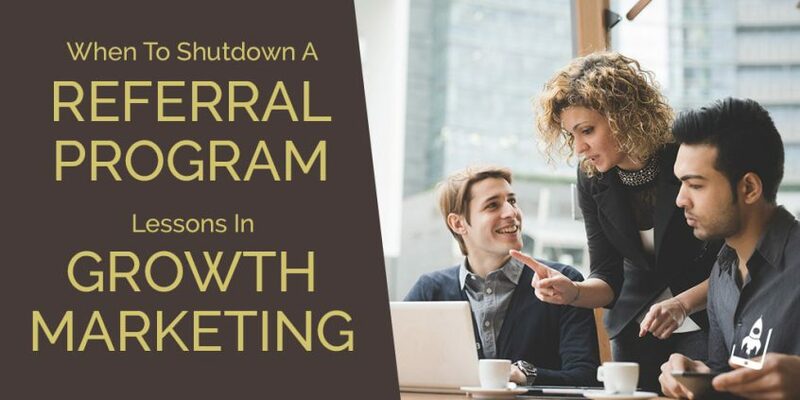 In this article, we’ve explored the various scenarios where referral marketing program needs a breather, why it’s important for businesses and the strategy to improve its efficiency. Marketing audits have become a necessity as businesses re-invent the wheel and are much needed to ascertain the REAL value a growth tactic brings to a business. 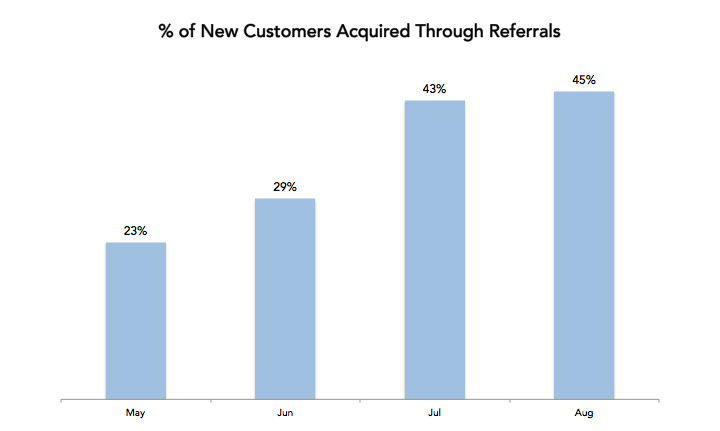 The same holds merit for Marketers who’ve been using referrals as a growth strategy. Using referrals? Are you spot on with your referral audit? The first step of a referral marketing audit begins by collating the data around installs or user base which have been acquired via a referral campaign. If you’ve been using a specific tool like AppVirality that enlists all the data required to make sense of your referral campaign; this should be an easy task. Nonetheless, having access to referral data is crucial for beginning a referral audit. Having worked with numerous brands in healthcare, travel, e-commerce, fintech and other high voltage segments, we’ve got our two cents around when a team should look at a referral shutdown. We’ve listed 5 key areas that Marketers and Business Managers need to evaluate while taking a decision on their referral programs. 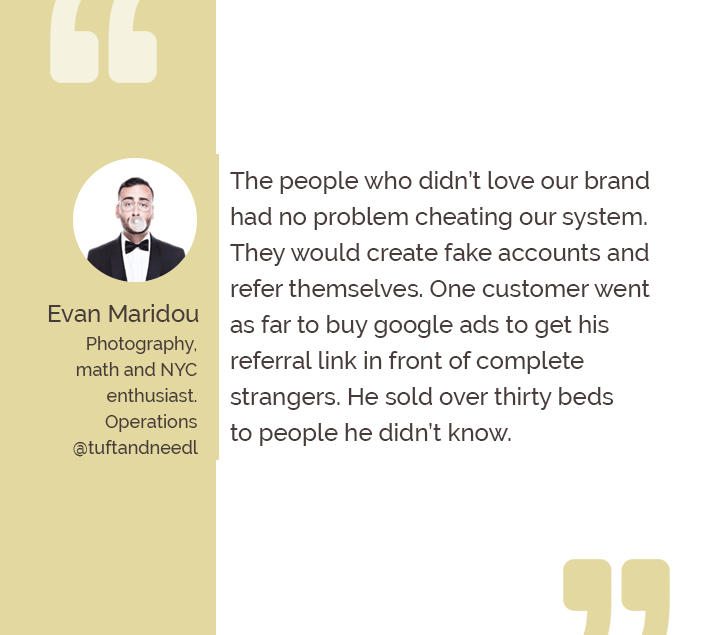 It is isn’t uncommon to see frauds within a referral program. Many users take the notorious route forward and try and game the system at the expense of loyal users. The most common tricks involve self-referral, broadcasting referral links/codes or cancellation post receiving the incentive value. The more hardened thugs, have known for changing IMEI numbers, masking IP’s, resetting device parameters, using multiple devices, using rooted devices and other high-end techniques. Marketing Managers, therefore, need to keep a tab on their data at all times and evaluate trends to make sense of it all. An ongoing referral moderation is significant here and may come in handy in cases where Marketers witness unusual spikes in referral numbers basis geography, influencer or any other quantitative metric that directly impacts the health of a referral campaign. If referral fraud becomes an epidemic, it is wise to fix the glitch and put a temporary stop to activities that may become detrimental in the long run. A key by-product of referrals is the amount of ceaseless traffic that it brings to apps and SaaS products. If not planned well, teams can get overwhelmed by its sheer magnitude. This is often seen when smaller teams try and run referrals without a proper tool in place. Such scenarios are often marked by open tickets, lack of active customer support leading to an overall negative perception around your referral campaigns. We’ve often seen referral programs cripple in the absence of a dedicated customer support since its starts to explode for all the wrong reasons! Referral may continue to bring value to your business, but if it lacks balance and support from the entire company it may be more of a bane than a boon. A smart strategy is to test a pilot campaign with the most loyal user group. See how such sets react and what’s the magnitude of issues that crop up, to help you understand the bigger picture! NPS is a reliable indicator of the success of your referral campaign and if that dwindles it’s time so goodbye to your referral program. We’ve discussed it at length in our earliest post here. Most Marketers laud NPS and have devised their unique ways to use it -to understand their data and improve their product/ service. Given that the intent to refer is at the heart of NPS, a negative data trend is a warning bell for Marketers who use this tool to reflect on the efforts that they’ve put in their referral campaigns. If the NPS data for your referral program is below 7 it is time to put a stop on to your referral campaign. At the same time, it requires you to bring out your worksheets and do a thorough analysis of what’s missing in your program, what product improvements your users need to have more faith in participating in your referral campaigns to increase the longevity of your referrals when you plan to re-launch them. We’ve often said that referrals is a side gig and developing it in-house can take away from the focus of your core product. Numerous marketers tend to invest productive hours in perfecting their referral program only to regret it later. As a company that helps Marketers with referrals (mobile and web) we are of a belief that referrals shouldn’t overwhelm brands and in no way take away from the focus of their primary product. 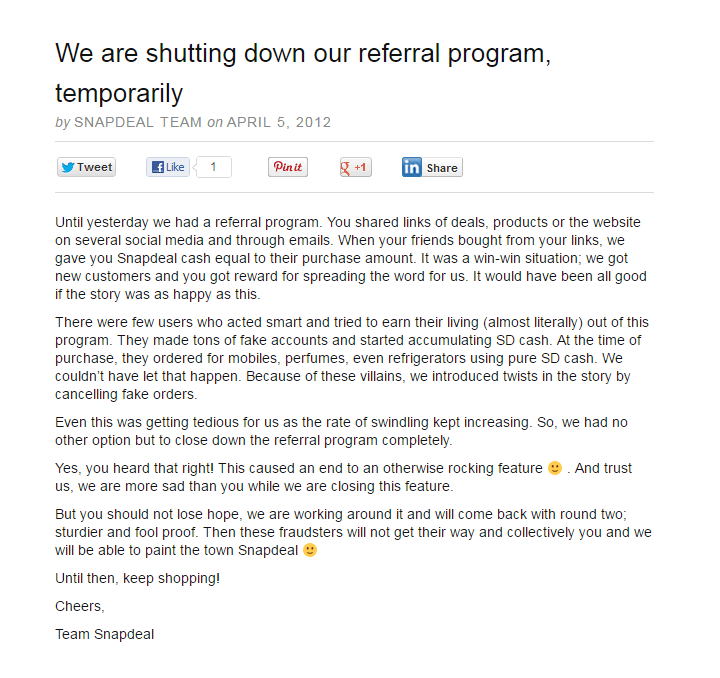 If a situation like this ever arises, it is best to stop the referral program. An idealistic approach is to outsource or invest in a tool that has a strong framework and does not compromise on the engineering efforts needed for your core product. We are in a time when the values with regards to Marketing is constantly changing. As more and more companies start to think this way, it becomes necessary to evaluate the need for referrals and put a full stop to it when it contrasts a ‘user first’ approach or opposes your brand values. Every business that offers a referral program has a repository of data and trends that are exclusive to them. A referral program should not only provide value to your customers but also be a strong reflection of your brand values. If you loyal users squirm at its thought and others continue to game it; it is time to shutdown the referral for the greater good of your brand and users. We all know that referrals have enormous potential and can ensure supersonic growth for any app or SaaS product. There are proven examples, psychological theories, and statistics that reinstates our faith in this ever popular growth technique. But at times we need to take a momentary pause and evaluate its effectiveness and take conscious calls to attract the right user, even if involves pausing or eliminating it entirely. Have you done your referral audit? What kind of results have made you continue your referral program? Do let us know in the comments below.